Britain’s new Foreign Secretary, Jeremy Hunt, is set to push the United States into slapping tougher sanctions on Russia, in response to Moscow’s “malign” behavior around the world. According to Press TV, in a visit to the US on Tuesday, the top UK diplomat aims to make efforts to garner allies support for tougher “sanctions against Russia”. In Hunt’s first major speech since taking over from Boris Johnson, he will reiterate the “special relationship” between UK and US and ask allies to “stand shoulder to shoulder” against Moscow. “And today the United Kingdom asks its allies to go further by calling on the European Union to ensure its sanctions against Russia are comprehensive, and that we truly stand shoulder to shoulder with the US,” Hunt is set tell the audience at the US Institute of Peace in Washington. 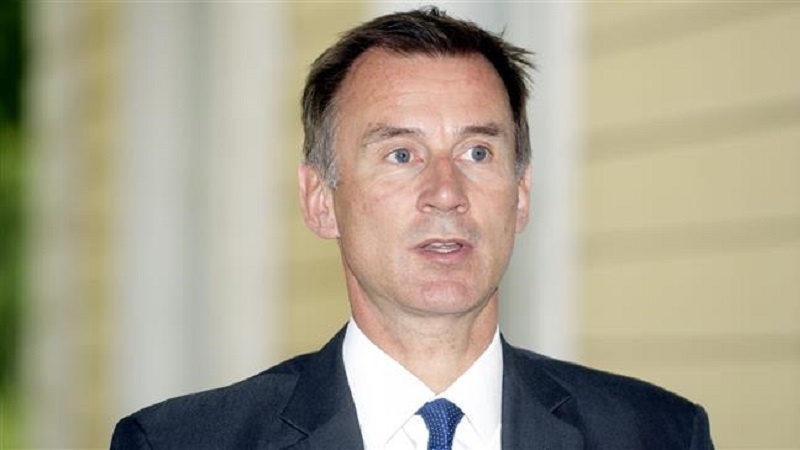 Hunt will also urge the US-led NATO forces to take a tougher stance against Russia over its alleged use of a chemical agent novichok in the Salisbury poisonings and the reunion of Crimea. He will say that the West must engage with Russia, yet be “blunt” about how the Russian president “has made the world a more dangerous place”. Earlier this month the United States, citing the Salisbury incident, imposed sanctions against Russia covering national-security related goods. Washingon has promised to increase the pressure until Moscow gave “reliable assurances” it would no longer use chemical weapons. In addition, without directly challenging the legitimacy of Donald Trump’s election as president in 2016, Hunt will specifically call for tighter regulation of online political advertising and new measures to prevent cyber-attacks on electoral machinery. Hunt will also throw out a challenge to Trump’s protectionist policies by warning a weakening of free trade will only damage western economies, and ultimately western political power.